I’m pleased to note that academic and friend Erik Davis is launching his new book at Meta-House Tuesday evening. While funerals can be a bit socially taboo to discuss, Erik’s extensive religious studies background enables him to profile unique and fascinating glimpses into how ritual practice informs and reflects on everyday reality in Cambodia. 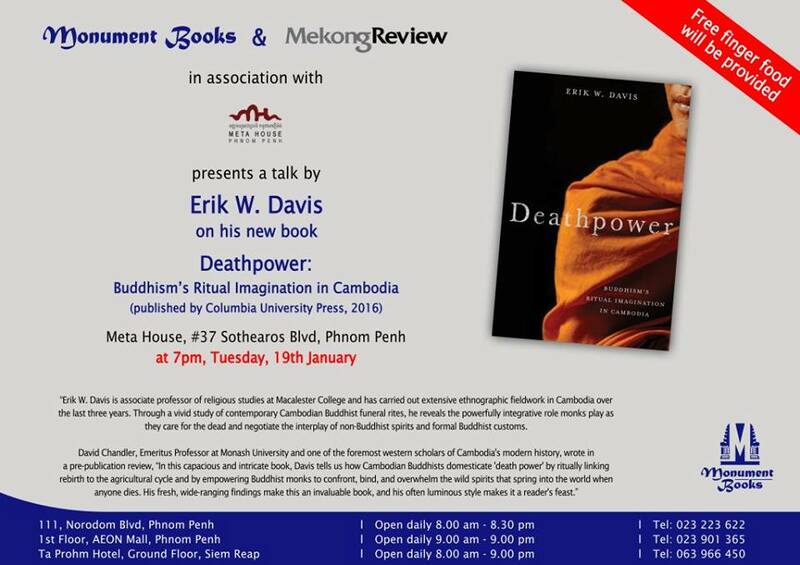 You can find the book on sale at the event, or at Monument Books in Cambodia. Good book to read to understand the reality of cambodian’s life. Will grape it one. The book looks interesting. A friend of mine have told me about this, might have to check it later. That’s an interesting book, I will looking to find one when I come across the Monument Books.